У статті проведено огляд поточної ситуації в суднобудівній і судноремонтної промисловості України. Дана характеристика основних проблем галузі, визначено необхідність державної підтримки галузі, а також відображені можливі перспективи розвитку і потенційні ринкові ніші. Визначено, що прогрес суднобудування впливає на науково-технологічну та соціально-економічну сфери і стимулює міжгалузеву взаємодію. Зроблено висновок, що для того, щоб витрати виправдалися і суднобудування дійсно служило драйвером розвитку економіки, необхідно передбачити глобальні та національні виклики і перспективи і адекватно оцінювати нинішній стан галузі. Головні зовнішні загрози для суднобудування України пов'язано з військовим конфліктом, флуктуаціями економіки і посиленням позицій конкурентів на ринку. Спільним знаменником більшості внутрішніх проблем суднобудування визнано недостатнє фінансування галузі та технологічне відставання. Пояснено відсутність конкурентоспроможності у багатьох видів продукції на тлі високої вартості будівництва суден. Виявлено перспективні сегменти спеціалізації суднобудівного комплексу України і показані можливі напрями його розвитку в контексті прийняття Закону України «Про розвиток суднобудівної галузі в Україні». Ключові слова: суднобудівна індустрія; економічний стан галузі; портфель замовлень; світовий ринок суднобудування; фактори розвитку; конкурентні переваги; дедвейт; проблеми розвитку; державне управління; державна підтримка. 1. Sawyer, L.A. and Mitchell, W. H. 1985. The Liberty Ships: The History of the ”Emergency” Type Cargo Ships Constructed in the United States During the Second World War, pp. 7-10, 2nd Edition, Lloyd’s of London Press Ltd., London, England, 1985. The article reviews the current situation in the shipbuilding and ship repair industry of Ukraine. The characteristic of the main industry problems is given, the need for state support of the industry is determined, and possible development prospects and potential market niches are reflected. It is mentioned that the progress of the shipbuilding industry affects the scientific and technological, social and economic spheres and stimulates intersectoral interaction. It is concluded that in order to ensure that costs are met and shipbuilding really serves as a driver for economic development, global and national challenges and perspectives need to be foreseen, while an adequate assessment of the current state of the industry has to be defined. The main external threats to Ukraine's shipbuilding are connected to the military conflict, the fluctuations in the economy and the strengthening of the positions of competitors in the market. A common denominator for most of the domestic shipbuilding problems is the lack of industry funding and technological lag. The lack of competitiveness in many types of products is explained by the high cost of vessels construction. The perspective segments of the shipbuilding specialization complex of Ukraine are revealed and the possible directions of its development in the context of the adoption of the Law of Ukraine “About the development of the shipbuilding industry in Ukraine” are shown. For Ukraine, the implementation of government programs that are specified in the new Law can create a multiplier effect that will positively impact the recovery of the economy, especially its industrial component. The stagnation of shipbuilding enterprises will stop. Ukrainian specialists will not have to look for work outside the state if they are able to receive decent wages in Ukraine, which will also increase the demand on the domestic consumer goods market. The development of the export potential of shipbuilding and domestic marine shipping will contribute to the influx of currency and, thus, will positively affect the provision of a stable exchange rate of the Ukrainian national currency. Keywords: shipbuilding industry; economic state of the industry; order book; global shipbuilding market; development factors; competitive advantages; deadweight; development problems; public administration; government support. 1. Sawyer, L.A. and Mitchell, W. H. (1985), The Liberty Ships: The History of the ”Emergency” Type Cargo Ships Constructed in the United States During the Second World War, 2-nd ed., Lloyd’s of London Press Ltd., London, England. 2.	sudostroenie.info (2018), “World Shipbuilding Market in 2017”, available at: http://sudostroenie.info/analitika/91.html (Accessed 10 Oct 2018). 3. Clarkson PLC (2018), “Clarkson PLC today announces unaudited interim results for the six months ended 30 June 2018”, available at: https://www.clarksons.com/media/1144157/interim_results_announcement_2018.pdf (Accessed 10 Oct 2018). 4. Shipbuilding News (2018), “China leads in global shipbuilding industry in 2017”, available at: https://www.hellenicshippingnews.com/china-leads-in-global-shipbuilding-industry-in-2017/ (Accessed 10 Oct 2018). 5. Fairplay (2018), “China tackles its shipbuilding equation”, available at: https://fairplay.ihs.com/ship-construction/article/4297571/china-tackles-its-shipbuilding-equation (Accessed 10 Oct 2018). 6. Lloyd’s Register (2018), available at: https://www.lr.org/en/ship-performance/ (Accessed 10 Oct 2018). 7. Shipbuilding and Ship Repair (2018), “Ukrainian shipyards 2017”, available at: http://sudostroy.com/ukrainskie-verfi-2017-obobshhennyj-analiz-ot-ukrsudproma.html (Accessed 10 Oct 2018). 9. Lee, S. (2017), “Business confidence survey 2016”, available at: https://www.rolandberger.com/en/Publications/Business-Confidence-Survey-2016.html (Accessed 10 Oct 2018). 10. Verkhovna Rada of Ukraine (2018), “On the Development of the Shipbuilding Industry in Ukraine. 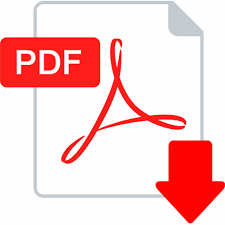 Draft law of Ukraine”, available at: http://search.ligazakon.ua/l_doc2.nsf/link1/JH6N100A.html (Accessed 10 Oct 2018).